Double glazing is the most popular form of glazing and it’s clear to see why. It helps maintain a comfortable temperature in your home and effectively stops heat loss, all at an affordable price. 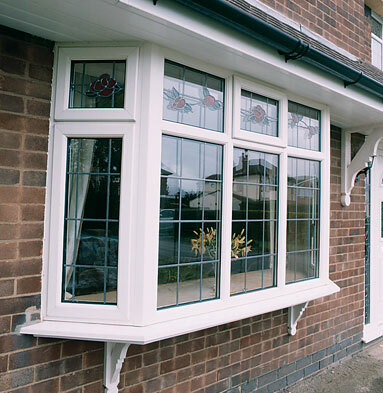 All our windows provide a pleasing aesthetic as well as keeping your home running effectively. The glass we use in our windows is one of the highest performing. This passes many benefits onto you as will reduce your heating bills, make your home more comfortable throughout the year and reduce your impact on the environment. With lower energy consumption comes lower CO2 emissions, so it’s not just you that will see the benefits. The glass is low-emissivity which means it uses energy from the sun to keep your home warm as well as providing ample amounts of natural light. We also use a warm space bar which acts as a further barrier against heat loss. As its name suggests it keeps the edge of the sealed unit warm which lowers the risk of condensation forming. Our windows are filled with argon gas between the panes as standard; this prevents further heat loss making the windows more efficient. Why choose Cliffside double glazing?